I wish the entire world was themed with Material Design. That is a loaded question because Material Design is not only the core theming of the application, but it is custom controls, animations, transitions, and a plethora of other things. Check out Google’s Material Design guidelines for everything that is really part of material design. When it comes to Xamarin.Forms and Material Design it is a tricky question. All the custom control, animations, transitions, and jazz like that you most likely will not be able to do with out some work and some renderers. However, you still have the ability to add in a little Material Design Theming and of course you can follow proper spacing and guidelines on the 4dp grid. Revision 21 of AppCompat v7 was pretty ground breaking. Traditionally, AppCompat brought the use of the ActionBar to older platforms, but Revision 21 changed all of this by bringing Material Design Themes and controls to older devices. This is important since Lollipop is currently 3.5% of the market! Currently, Xamarin.Forms does not use AppCompat which means we can not take advantage of the new compat theming, but there is NO reason that we can’t make our Lollipop users happy by adding a little material theming to their app. This will bring not only material design themes, but also all the fancy touch events, and other core Lollipop control features from the core OS, which will be very nice. 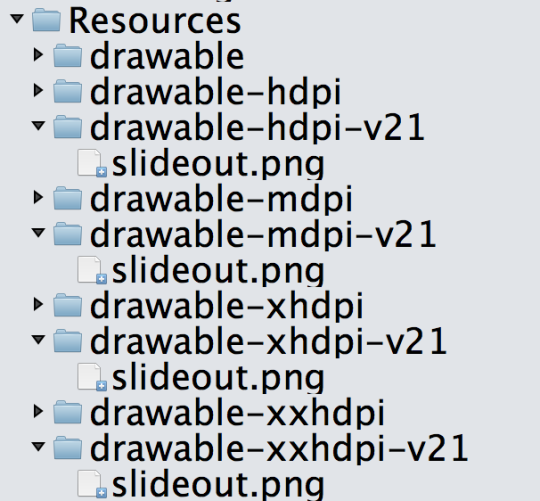 Then you will set the Icon to “slideout.png” or whatever you called it for your MasterDetailPage. Nice new styling for the colors, larger action bar, better fonts, and of course a nice new hamburger button! 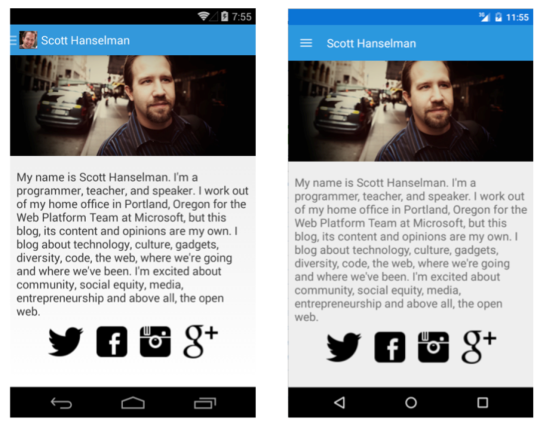 So can you get Material Design in your Xamarin.Forms application? Absolutely, but you just don’t get everything and it is for a limited amount of users. However, the number of Lollipop users is only going up so why not add a bit of flare to your app? 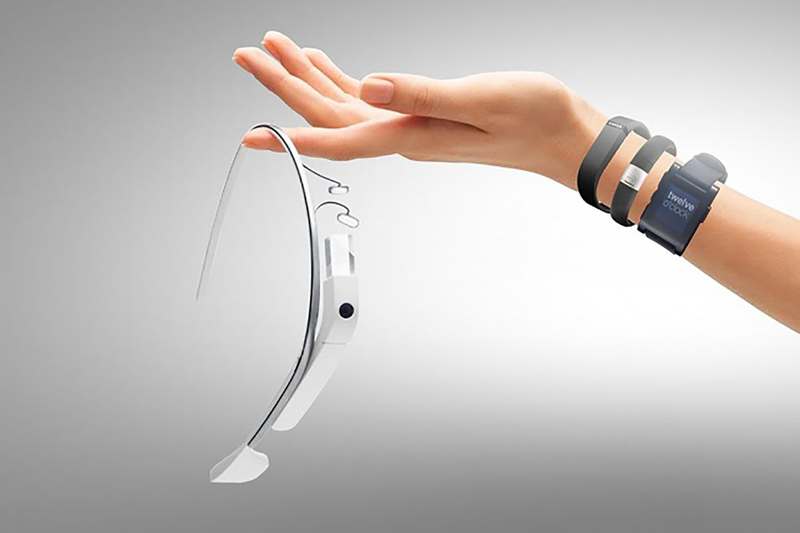 Hot buzzword of the day is Wearables. We at XHackers are ready to create a buzz. Lot of us when we hear the word – Wearables, we think of Apple Watch, Android Wear, Microsoft Band, Google Glass or even Fitbit. But history of wearables dates back to 1961! In 1961, a MIT Professor, Edward Thorp, whom we call the Father of Wearables, created and successfully used a first wearable computer to cheat at Roulette which gave them 44% edge over the game 🙂 Since then, we had calculator watches (how many of you remember Casio watches 😉 ), digital hearing aids, Nike+, Go Pros, Fitbits and similar clones. We think technology should work for you – to be there when you need it and get out of your way when you don’t. It was exciting! With the annoucement of GDK(Glass Developer Kit), Android developers could write native Google glass apps using the Android SDK. This opened up plethora of opportunities for developers into the Wearable Computing market. Parallely, came slew of watches powered by Android called Android Wear. If you didn’t know – Xamarin has been supporting Google Glass & Android Wears ever since. Some exciting news about new watches are making rounds.. watch out! (pun intended). Microsoft too joined the party by annoucing a cool looking wrist band called Microsoft Band. To our surprise, it came in with full support on all the leading phone Operating Systems like iOS, Android along with it’s very own Windows. With the release of Band SDK for all platforms and Xamarin’s same day support, it’s now seamless to integrate with iOS and Android apps. What we hear is, very soon Cortona which used to work only on Windows Phone, will now work on iOS and Android too – which will open up more avenues for apps to integrate voice in their apps. Apple Watch was one of the most exciting annoucements from Apple! As you may know, WatchKit has been in preview for quite some time now. Recently after WatchKit’s official release, and the actual Watch yet to hit the Apple stores, nothing stops developers to make their apps ready for the D-Day. With Xamarin platform, it’s now a reality for C# developers to write a cross platform code across all the major wearable platforms. Not just write code for Apple Watch, Google Glass, Android Wears, or Microsoft Band but also share a good amount of code among them. So are you excited to learn how to build your wearable apps on all these platforms in C#? Here’s your opportunity to peek into the wearable app development world. Come and learn more about Xamarin and how to program for Wearables in our upcoming meetup. So among the different types of games and apps we build at Hitcents, one particularly troublesome type to deal with is basically any game built with Unity. One behind the scenes tool that most Xamarin newbies don’t know nothing about is the linker. The linker gets called during the build of your assemblies. It has a single purpose and that is to reduce the size of your assembly. So how does it do that you say! It does it by firing up a digital, virtual, 400-HP chainsaw and cuts away the parts that your code doesn’t use. GREAT! How do I enable it?! For iOS and Android the linker is enabled by default for projects that targets actual devices and disabled if you target emulators/simulators. The reason for this is to reduce build time when deploying to a simulator. 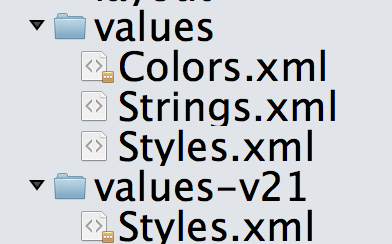 You can edit the linker settings under project properties; iOS build for iOS and Android options for Android. Link SDK assemblies only which means that only Xamarin Core assemblies will be linked. Default for deploy to actual devices. Dont link which means, well, don’t link… Default for deploy to simulators/emulators. Outstanding, why don’t I use Link all all the time then!? The first reason is that deploy time increases since linking takes time. So when deploying to the simulator or for your device while testing, it simply is not worth the extra time. The third reason not to use link all is that this might affect any third party libraries that you have referenced that isn’t “linker friendly”. Simply leave the linker as is and carry on with your life. Nothing to see here, circulate! This is a short guide for how to connect to Android Player in case you’re using Visual Studio in Windows through Parallels. I use to do this in a way more complicated manor before I realized that it’s just this simple. Looking ahead, In VS 2015, Microsofts gives us an x86/hyper-V Android emulator that looks great. But for now, this works the best. 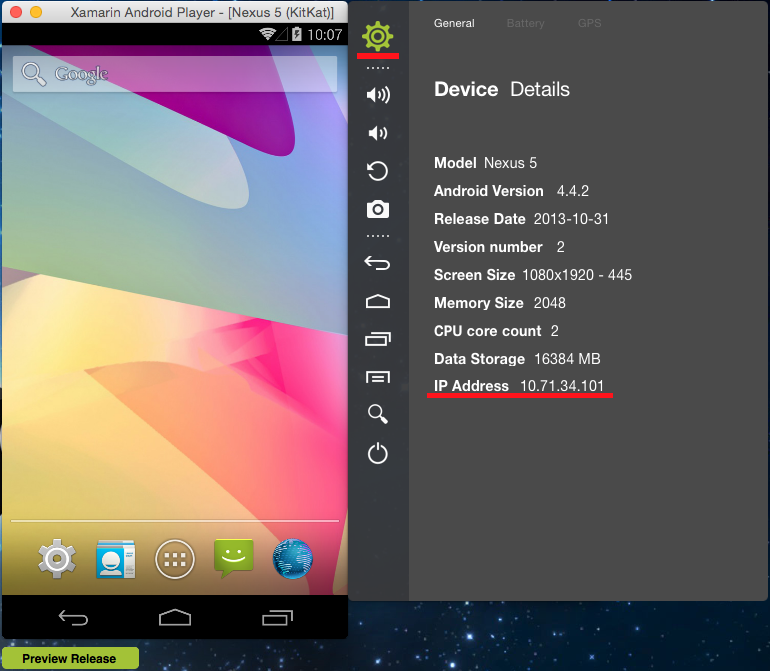 Fire up Android Player (or any other emulator of your choice that runs Android) in OS X and get the address to the emulator. Click on the settings cog and note the IP Address. In Windows, open your project in Visual Studio and hit Tools -> Android -> Android Adb Command Prompt. Write adb connect [the IP address] and you should then be connected to your emulator like in the image below. You should now see your device in Visual Studio! Of course, things can go wrong. The issues I’ve encountered are these. 1) I had to disable my wireless network while connected to the local wired network. Surely this is a configuration issue that I just haven’t bothered with yet. 2) The emulator doesn’t show up. Restart Visual Studio. 4) Firewalls… Make sure port 5555 is open for TCP from Windows to OS X.